The Chapel Lawn Woodland Fair on October 6th turned out to be one of the best days of the year with clear blue skies and warm sunshine. 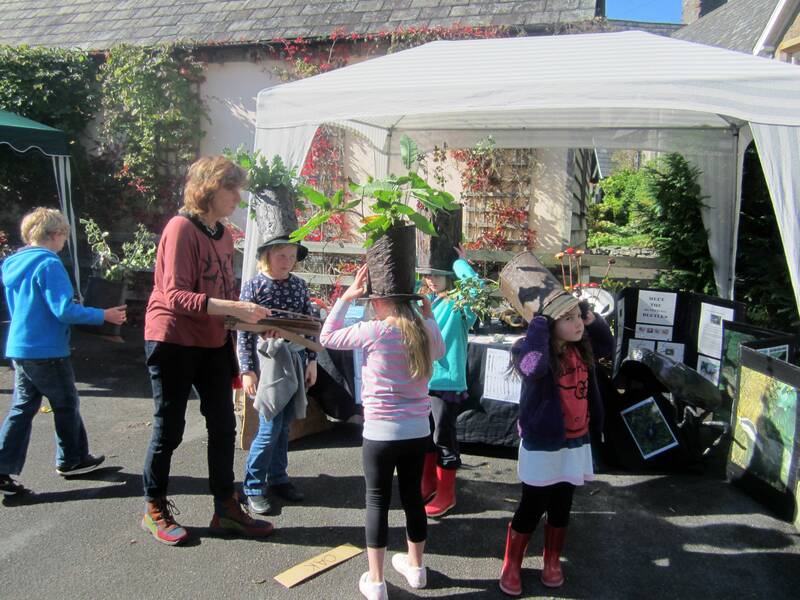 It was great to see so many local people there as well as those from further afield, and we estimate that between 150 and 200 people attended during the day. The aims of the day were to promote the idea of the Community Benefit Society as a not-for profit body that is democratically run by its members – and to sell more shares in the Brineddin Wood quillet, which we did; to raise awareness of woodland and other environmental issues, which we did; and to have fun, which people definitely did. 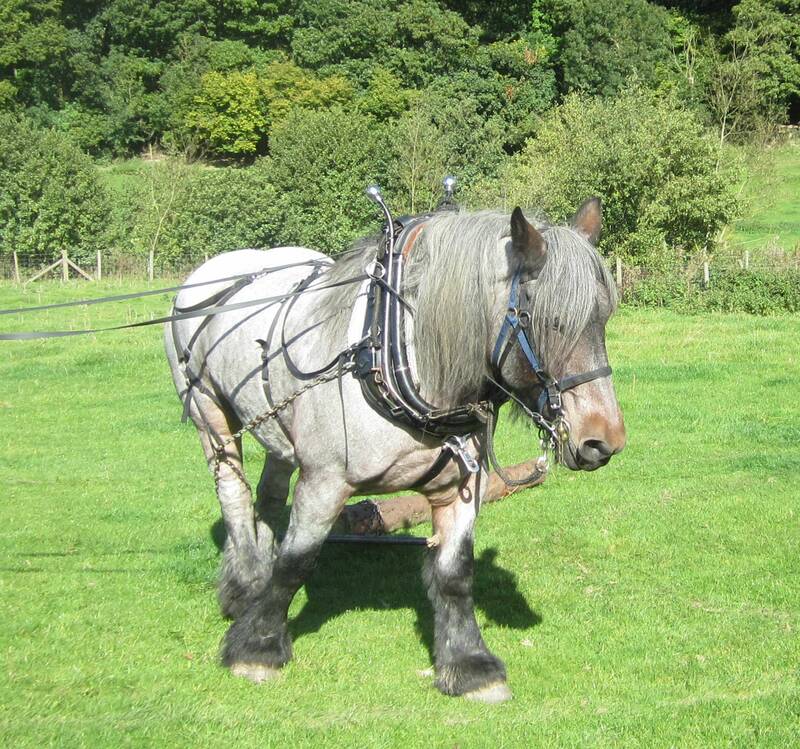 A highlight of the day was ‘Elza’ the heavy horse, owned by Nick Burton of Powys Forest Horses. 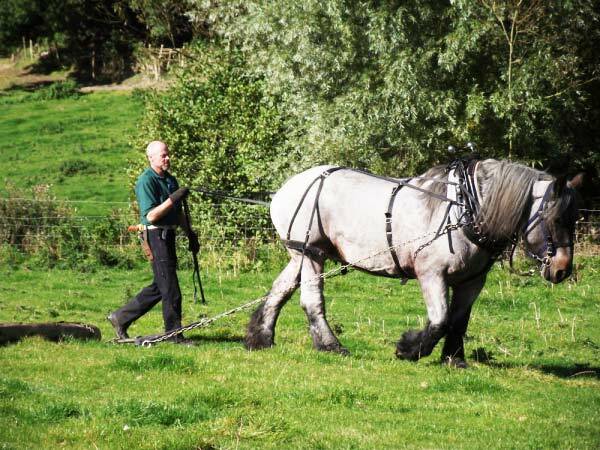 Elza hauled two of Bob James’ larch logs back and forth across Mrs Owens’ meadow behind the village hall, the whole scene perfectly framed by Brineddin Wood in the background. Bob also came up trumps with his tree-identification quiz – 26 native trees to be identified from leaves and short branches, which resulted in much scratching of heads, crossing out of answers and then re-crossing out of answers. Amazingly, the winner, Rob Rowe from Newcastle, identified all 26 correctly, but some of us did less well! Lots of people signed up for the guided walks to our Brineddin quillet where sculptor Paul Caton was making oak benches from a tree trunk kindly supplied by James Middleton There are now two rustic benches in place, one by the footpath and one a little way up into the quillet. Do, please, walk round there to sit on the benches and enjoy the tranquillity. 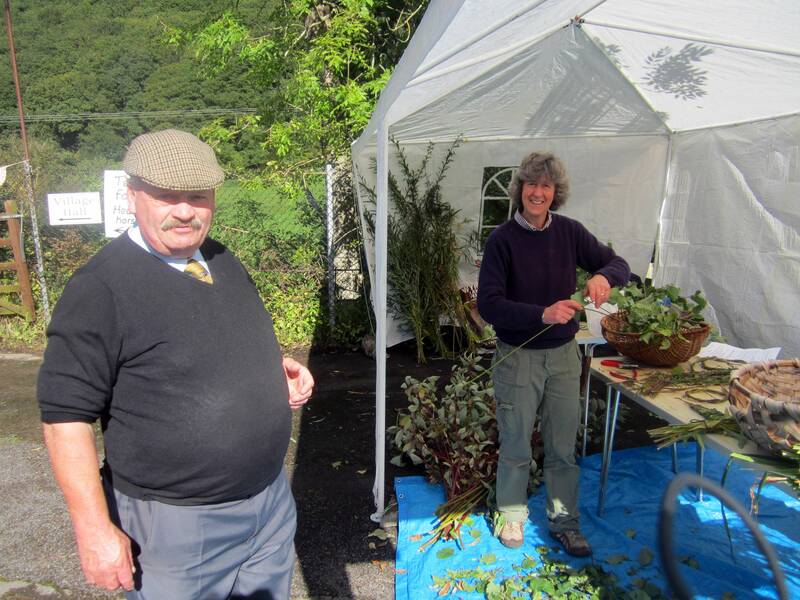 Rob Rowe led foraging walks. 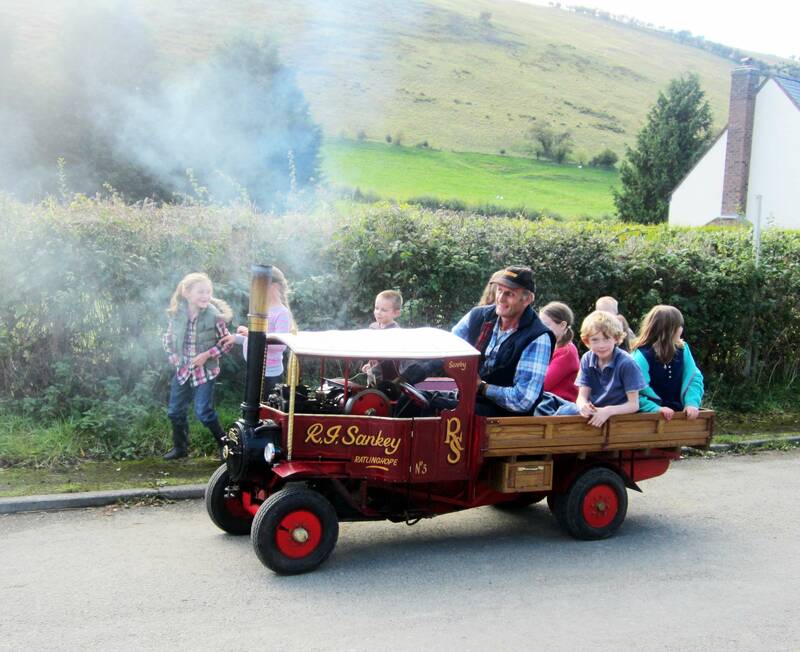 Children were entertained with various activities using natural woodland materials, and many enjoyed a ride down the lane in John Sankey’s steam powered, traction engine truck. Many of you will know John of Brow Fuels who delivers coal in the village. There was admiration all round for the fabulous walking sticks made by Keith Meredith from Bucknell out of pieces of wood that he has found and painstakingly fashioned into works of art. 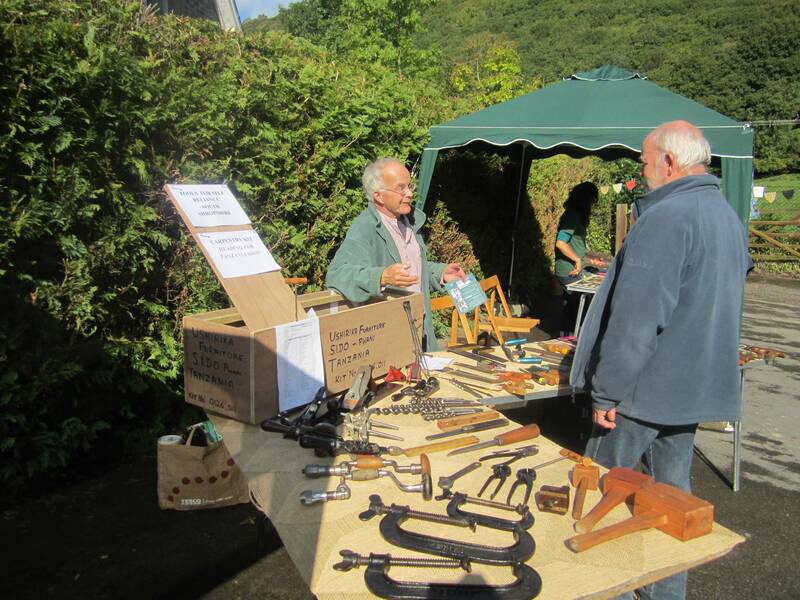 Richard Hornsby of CraftEco from Bryncalled and Marc Eccleston of Pics ‘n Sticks showed off their hand-crafted wood products and, we hope, sold quite a few. The Redlake Artists mounted an exhibition of local paintings and crafts with quite a few orders taken on the day. The Tools for Self-Reliance stall impressed us with the carpenter’s toolbox of unwanted tools that have been restored and are now destined for developing countries, in this case Tanzania. Many visitors also visited the church next door where the ‘Caring for God’s Acre” project had sponsored an exhibition of winning photographs of Shropshire scenery. The hall was full at the end of the day for Peter Davies’ film about Bucknell Wood Yard in the 1950s and 60s, with £135 collected at the door by Barry Palmer for the St Mary’s Church Fabric Fund. Particular thanks are due to all the stallholders who turned up for free and made the day such a success, and to Di Cosgrove, Claudia Brown, Christine Morgan, Christine Rogers and Beryl Palmer for the catering arrangements, and to Liz and Ian Campbell for directing visitors and helping with the parking arrangements. 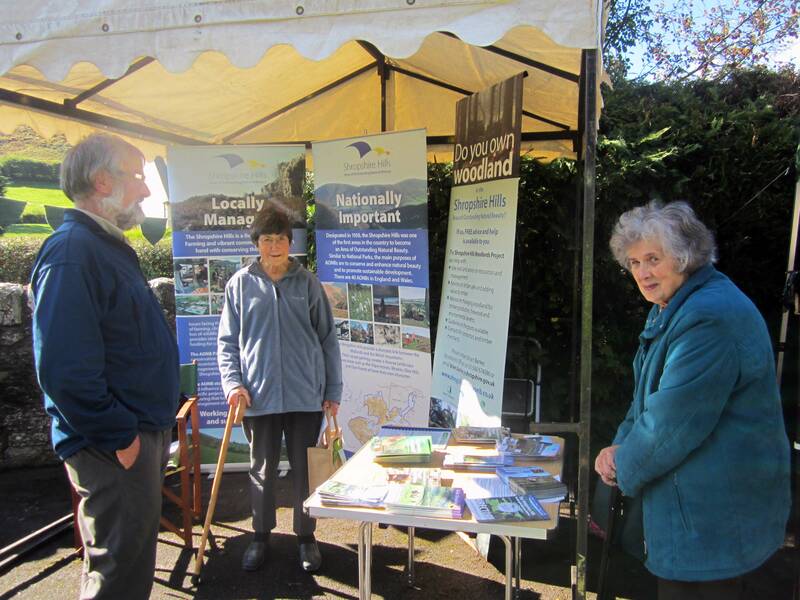 Grateful thanks must also go to Shropshire Hills AONB Partnership and Caring for God’s Acre for their grants towards running the event and to the RSPB, Shropshire Wildlife Trust, the Woodland Trust, and again the AONB for setting up stands and explaining their work. Several people put their hands in their pockets on the day to purchase shares in the quillet. The important point to hold onto from the day is that the Community Benefit Society is about much more than buying a piece of woodland. It is about that, of course, with projects planned to ensure the long term welfare of the wood and to increase the range of bird and plant species, but on this one day alone, people had fun, learned a lot, worked well together, sold their goods and services, and made new contacts and friends. 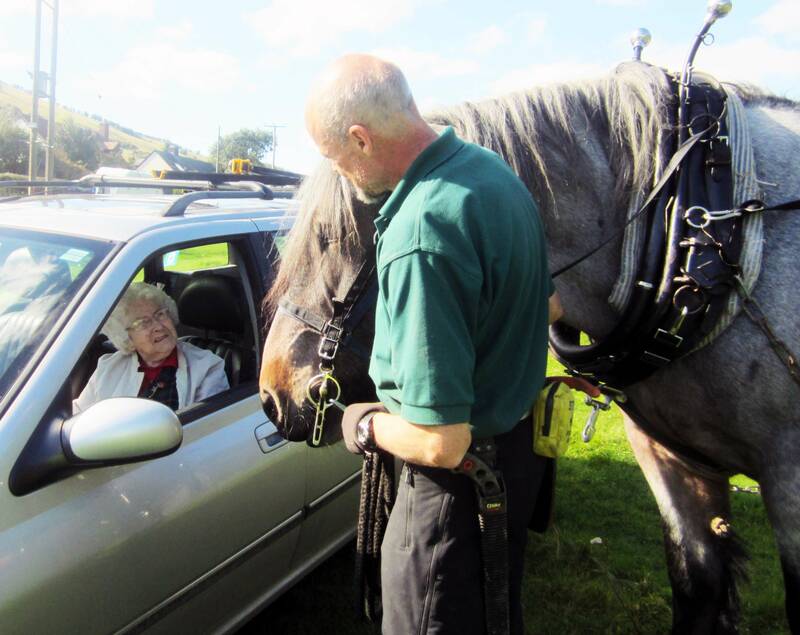 Look out for more news, events and activities from the Redlake Valley Community Benefit Society in the future. GALLERY Further information may be obtained by contacting any of the board members. Click on these pictures for a full screen view.